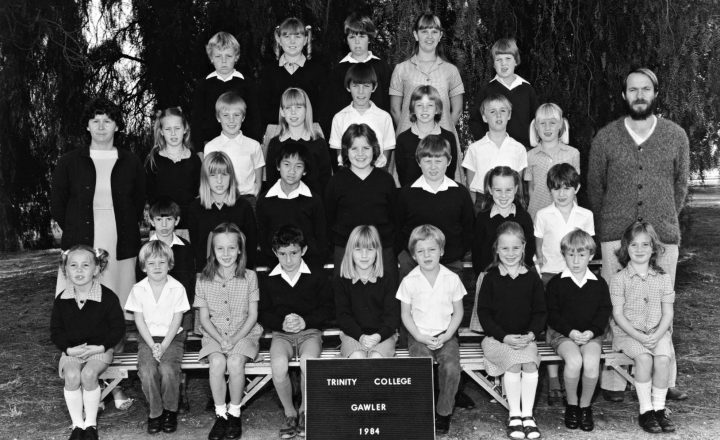 The Trinity College story began in 1984 when a small group of committed families from Gawler began operation with 27 students in the hall at St George's Anglican Church. In 1985 the College moved to its current location of Alexander Avenue in Evanston South and expanded to sites at Craigmore and Angle Vale. Since then Trinity College has undergone significant growth and development but remains an institution that adheres to its founding principles. Trinity College is open to all who would like their children educated in a liberal and Anglican tradition regardless of their economic status or religious affiliation. The vision and pioneering spirit of dedicated staff, parents and students has seen Trinity College grow into an extraordinary educational institution offering preschool to Year 12. Now into its third decade of operation, Trinity College has become widely recognised for the realisation of its stated ethos - excellence for all.